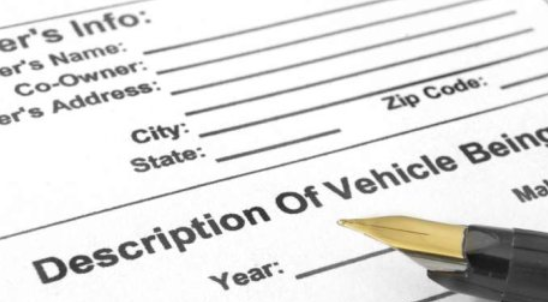 When buying a car in Connecticut, you will need to obtain the required paperwork from the seller in order to register and title the car in your name with the Connecticut Department of Motor Vehicles (DMV). If you buy a car from a dealer, they will process all the required paperwork on your behalf. Continue reading this article to get more information about the paperwork required when buying a car in Connecticut. When you buy a car in Connecticut, you must obtain necessary paperwork from the seller in order to register and title the car in your name. If you buy your car from a dealer, they will normally process the required paperwork on your behalf. However, if you buy the car from a private seller, you will need to handle required paperwork for car registration and titling with the CT DMV. The certificate of title, signed by seller over to you. A bill of sale or submit Form H-31. The two must include your name and address, seller’s name and address, vehicle purchase date, vehicle purchase price, seller’s signature and vehicle description. NOTE: If the title is missing, damaged or lost, ask the seller to apply for a duplicate copy and sign it over to you. VIN verification, if the vehicle you are buying is exempt from emission test. Once all the required paperwork, fees and taxes have been submitted, you will be issued with a new license plate in your name. The signed certificate of title. A general bill of sale or Form H-31. Form H-13 (Official Registration and Application for Certificate of Title). Vehicle emissions test certification, if applicable. Payment for taxes and fees: $25 title transfer fee. Registration fee, Sales tax, which is usually the NADA value or 6.35% of the purchase price. If your vehicle is valued at $50,000, tax is 7% of the purchase price. Submit the license plates you want to transfer. 1,500 miles or 30 days for vehicles that cost $3,000 to $5,000. 3,000 miles or 60 days for vehicles that cost over $5,000. The warranty is extended for each day your vehicle stays in the repair shop. The dealer is responsible for all repairs at no cost. NOTE: There is no warranty for vehicles purchased from private sellers.